When I first read the book Little Women, after having seen the movie and musical beforehand, I was very interested to see the characters in the book compared those in the adaptations. The novel is evenly focused on each of the characters of interest, yet we still get the impression that Jo is the main character. In the musical, the audience can be made very certain that Jo is the main character. Although Marmee has two solos, one is aimed towards Jo and the marriage that John Brooke and Meg decide on in More Than I Am affects Jo. I would like to now focus on some separate roles in the book, movie, and musical. I will not look into Jo, because her character seems very obvious and simultaneous throughout most of the adaptations. All you need do to learn the character of Jo is read the novel and perhaps its following sequels Little Men and Jo’s Boys. What makes a character? Those that are involved with plays and musicals contemplate this deeply. A character is made by their characteristics, personalities, and quirks. To begin, the main roles of Jo, Meg, Beth, and Amy all share one thing between all the renditions of the novel. They all have the same name in each version. Just because the roles in Little Women share the same names in each adaptation does not mean they are entirely the same character. This goes for any characters that have been adapted. The perception of character is different for each reader or audience member, but the majority of deductions made by people are extremely similar. This is the goal of the author of a character, to place its characteristics before people rather than leave it open for the imagination of the reader. The first character I’ll look at is Theodore Laurence the Third, better known as Laurie. In each comparison I will start with the original character in the novel, the musical character, then the movie character. The novel character is jovial in a childish way. When Jo finds him he is distressed, bored, lonely, and unambitious. He is altogether an enjoyable person after he finds affections in his Grandfather and the March family. He attempts to marry Jo, and, after a while, is able to get over the fact that she sees him only as a friend. He finds Amy in Europe and they marry. The musical character seemed a bit too far on the silly and jovial side. Rather than a happy person, he seemed overly and unnaturally immature. It is quite a stun when he proposes to Jo, because he acts like such a child. The marriage to Amy later on makes him a bit more mature. This attitude may have to do with the actor who portrayed Laurie when I saw the musical, but I believe the script gives the actor full opportunity in the way it is written to act thus. Why did the writers change things the way they did? There are good reasons. In the case of Laurie, I think that musicals these days need the ability to make an audience laugh. Laurie acts, in the musical, as the comedic relief. Such as when Laurie awkwardly meets the March girls and says, ‘I play the piccolo! I can hold my breath for two minutes before passing out!’. The movie character is the most serious of the trio of characters. He has a playful attitude, but at the same time it seems aloof and uncomfortable. Next up, I will go into the deep character of Beth March and her characteristics throughout each adaptation of Little Women. My first experience with the story of Little Women was the 1994 movie. A few years ago I attended a performance of the production Little Women: The Musical. I did not see the musical on Broadway. After seeing two considerably different renditions of the book, I decided to read the novel. As an author myself, I was interested in seeing what Louisa May Alcott had in mind for her characters and their tales. The novel tells the story of the four March sisters Meg, Jo, Beth, and Amy growing up in Concord, Massachusetts during the time of the Civil War. The book was written by Louisa May Alcott in 1869 and was based on her childhood. The main character of the book is Jo, who Alcott modeled after herself. I’m going to do a quick recap on the musical, for those who are unaware of it. 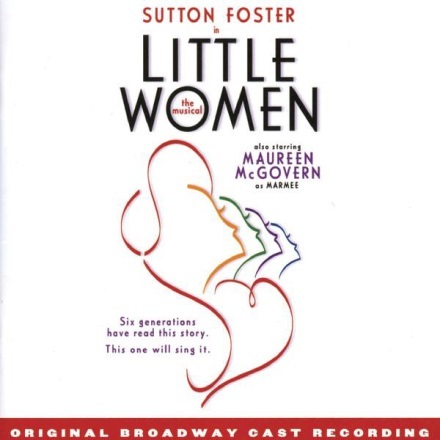 Little Women: The Musical was written by Allan Knee, lyrics by Mindi Dickstein and music by Jason Howland. It attempts to throw in a bit of comedy into the story taking place during the Civil War of America. For example, Beth is playing the piano when Mr. Laurence enters the March home. He looks at her and says ‘Which one of the dreadful March girls are you?’ she replies, dropping a quick curtsy ‘Dreadful Beth’. After which, the audience chuckles. It premiered on Broadway in January 2005 starring Sutton Foster (Broadway credits include Thoroughly Modern Millie, The Drowsy Chaperone, Shrek: The Musical, Anything Goes) as Jo. The cast also included Maureen McGovern (Pirates of Penzance, Nine) as Marmee, Jenny Powers (Grease, Follies) as Meg, Megan McGinnis (Thoroughly Modern Millie, Beauty and the Beast) as Beth, Amy McAlexander as Amy, Danny Gurwin (The Full Monty, Urinetown) as Laurie. The musical has a small cast which can be made up of as few as eleven members doubling some roles. There is no ensemble. The basic plot of the musical is very near to that of the novel. Much of the unnecessary parts that do not enhance the plot greatly are removed. I have witnessed the creation of a new Broadway caliber musical Secondhand Lions: A New Musical through actor Grayson J. Smith, who is my brother. Because of this, I can understand and appreciate the changes that occur with an adaptation. Events are switched and overlapped to save time. It is very easy to understand the reason for timeline changes, as they quicken the pace of the plot. Despite portions of the story in the novel being cut and patched, the musical still runs about three hours including intermission. Most musicals are two hours long. The novel’s plot is extensive and the events need time to take place over. The musical can easily make the audience laugh and cry at numerous times throughout the show. The script allows the actors to portray their roles with such emotion, that the audience has no choice but to get enwrapped in the lives and relationships of the March family. The audience cried when they cried and laughed when they laughed. Some musical numbers include Take a Chance on Me (sung by Laurie), Finest Dreams (Jo, Meg, Beth, Amy) Five Forever (Jo, Meg, Beth, Amy, Laurie), Some Things are Meant to Be (Beth, Jo) and the most well-known sung from the score, Astonishing (Jo). The music itself altogether lasts more than an hour, with about 1 ½ hours of dialogue. The musical has the right balance of dialogue and singing. Dance is generally only found in the numbers Finest Dreams and Five Forever, as the rest are duets or solos. I enjoyed the musical in the experience I had. I bought the Original Cast Recording on iTunes, and continued to enjoy the music. Now, I have every song by memory and own the piano arrangement book. In addition, I have met Jenny Powers who performed as Meg in the original production on Broadway. All to say, I am a fan of the musical. I state this clearly, because I am going to criticize it in the following parts. I will not be negatively criticizing it. I will be criticizing it as a seasoned chef would criticize a well-made dish and point out its high parts and low parts. I am also in favor of the movie. I own it and have watched it many times. I believe that in most respects it represents the basic plot of the novel well. I have read the novel over three times, in the past two years. Each adaptation of the novel has its strong points, and yet they are different. In addition, each adaption is altered from the original story to accommodate the audience it is aimed at. In the following parts of ‘Thoughts on Little Women‘, however, I intend to go deeper than the basic plot of the novel, and compare the adaptions.